Lendy Cowes Week 2017 is fast approaching and what better way to start off the regatta than re-visiting it's history and some useful facts for post racing discussions. Just where yachting in Britain began is as good a subject as any with which to start a long discussion in the post-race bar** - but where it really got going is readily agreed. And that is the little town of Cowes, set at the mouth of the river Medina on the Isle of Wight opposite Southampton Water and the epicentre of activity on the sheltered stretch of water between the Island and the mainland and known as The Solent. The first organisation in England to be called a Yacht Club was started in Cowes in 1815: it quickly became the Royal Yacht Club (in 1820 when the then Duke of Clarence joined) and in 1833 the name was changed again. 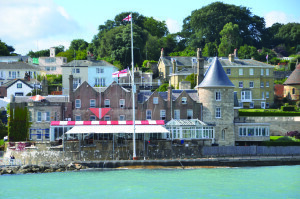 The Duke of Clarence became King William IV and the Royal Yacht Club became the Royal Yacht Squadron. It still occupies its famous Castle commanding the entrance to Cowes harbour, it still organises major events (including this year its 200th Anniversary Regatta and Panerai British Classic Week), its members are still the only civilians permitted by law to wear the Royal Navy's White Ensign - although by now the original requirement which gave this permission: that they would lend their yachts to the Navy in time of War - has somewhat lapsed. 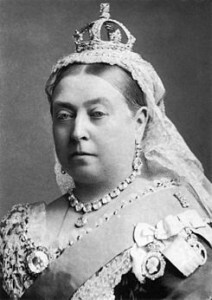 Cowes' popularity as a yachting centre owes a special debt to two special people: Queen Victoria and her husband Prince Albert. 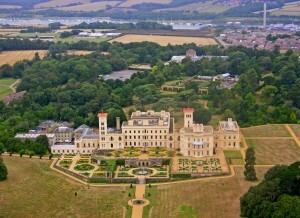 In 1845 Albert decided the Royal couple should have a country retreat somewhere away from London. Their 'holiday home' at the time was Brighton's famous Pavilion, built by Victoria's uncle the Prince Regent, who later became George III. But Albert and Victoria disliked the lack of privacy of a home in the centre of town while the apartments in the Pavilion were really too small for the couple's growing family. They sold the Pavilion (to the town council), packed-up the best of the furnishings and furniture and bought a small house on the headland to the east of Cowes harbour. This they had knocked down and Albert designed the new home. It still stands as Osborne House, preserved very much as it was in Victoria's time and a popular venue for visits and functions. The house was built between 1845 and 1851 by Thomas Cubitt - and Albert was so pleased with Cubitt's work that he had him rebuild the front of Buckingham Palace, as well. Brighton's loss was Cowes' gain. Where Queen Victoria led, Society followed - and the rest, as they say, is history. First ever organisation in England to be called a 'yacht club' - 1815 in Cowes, 'The Yacht Club' (now the Royal Yacht Squadron).